Attending school full time does not guarantee that you will graduate on time. Twelve credit hours is considered full time for most federal and state financial aid, but it takes an average of 15 or more credit hours a semester to earn a bachelor’s degree in four years. As a Missouri Department of Higher Education initiative, 15 to Finish encourages full-time college students to complete 15 or more credit hours each semester to reach this goal. Complete College America has built an Alliance of states, systems, institutional consortia and partner organizations taking bold actions to significantly increase the number of students successfully completing college - ensuring many more students achieve degrees and credentials of value and closing attainment gaps for traditionally underrepresented populations. This alliance provides support in 5 areas that aid in college completion: 15 to Finish; Math Pathways; Corequisite Support; Momentum Year; and Academic Maps with Proactive advising. 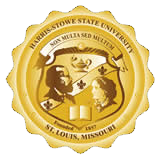 Harris-Stowe State University has initiated 15 to Finish as of Spring 2017. - Know how many credit hours you need for your degree. - Complete 15 or more credit hours a semester. - Consider all your options – summer school and online courses can help you earn the credit hours you need to graduate on time.